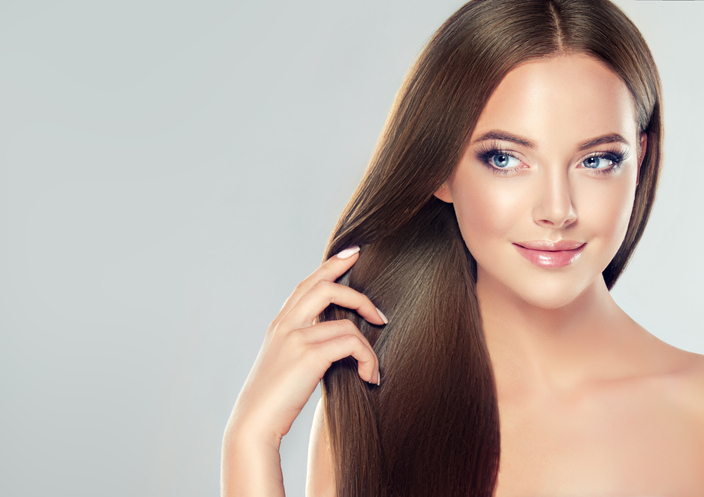 As an adjective, sleek means ‘smooth or glossy’, and it’s used to talk about hair or fur. If you say an animal is sleek, that means either that it has a smooth and glossy coat or that it looks well fed and well groomed. If you say someone is sleek, it means they look well groomed and wealthy. If something is sleek, it means it’s finely shaped. With negative connotations, sleek means ‘cleverly or deceitfully skillful.’ As a verb, to sleek means ‘to make smooth,’ to slick. The cat's coat was sleek. The dog was sleek and obviously well looked after. The sleek businessman took a lot of care over his image. Linda admired the sleek sports car. The con man gave a sleek speech. Karen sleeked her hair back and tied it in a ponytail. Sleeking is part of the leather-making process where the leather is rubbed and polished to make it smooth and glossy and a sleeker is a tool used to do this. Sleek, as an adjective meaning ‘smooth or glossy,’ dates back to the late 16th century. It emerged as a variant of the Middle English slike (slick), which has been around since before the year 900, as the Old English –slician. It can be traced back to the Proto-Germanic slikojan and the Proto-Indo-European root sleig– (to smooth or glide,’ or ‘to be muddy’), from sle(i)- (slimy, sticky or slippery). Sleek is related to the Old Norse slikr (smooth), the Old High German slihhan (to glide), the German schleichen (to creep, crawl or sneak) and the Dutch slijk (mud, mire), as well as the Sanskrit linati (‘sticks, stays or adheres to,’ or slips into or disappears’), the Russian slimak (snail), the Old Church Slavonic slina (spittle), the Old Irish sligim (to smear), the Welsh llyfn (smooth), the Greek leimax (snail), limne (marsh, pool or lake) and alinein (to anoint or smear), the Latin limus (slime, mud or mire), and English words such as slime, slimy, slip and slippery. Sleek was originally used to describe the coats of animals, but expanded to describe people (with the sense ‘plump and smooth-skinned’) in the early 17th century. The figurative (and often negative) sense ‘slick, fawning or flattering’ has been used since the late 16th century. The verb, meaning ‘to make sleek,’ dates back to the mid-15th century. Like the adjective, sleek is a variant of the verb slick.